Where Should A Christian Addicted To Drugs Turn? In all the years I have worked with drug and alcohol addicts, I have never met anyone who told me that when they first started using that they wanted to destroy their life. When they took their first drink, they never thought: “I want to destroy my liver and die before I am 50.” When they first took drugs they never thought: “I want to put everyone I love through horrendous grief by letting them find my body when I overdose.” Fortunately, many come to the realization that they need help. With this in mind, we will look at where should a Christian, and others, addicted to drugs turn? This definition describes physically what happens in the brain of someone who is an addict. Likewise, it is true that when we engage in any behavior, the brain makes changes in the communication pathways in the brain that makes the behavior easily repeated and hard to be changed. Athletes are known to use this fact as a way to better their performance. How does an addiction influence a person’s life? Most people would agree that addicts struggle with making good decisions that create positive outcomes. This is because their ability to think clearly is influenced by the effects of the drugs (including alcohol) and the resulting habits. Physically the drugs interfere with the ability to have the mind of Christ. Having the mind of Christ is what enables us to have positive Biblical change in our thinking and behaviors (1 Corinthians 1:10; 1 Corinthians 2:11-16; Philippians 2:1-11; 1 Peter 1:1-23; 1 Peter 4:1-4). When a person’s thinking is compromised, they are more subject to making decisions that result in negative outcomes. These outcomes cause suffering for the addict and for those who love them. Unfortunately, increased cultural acceptance of recreational drug and alcohol use has made it more difficult for those struggling to break free of their addictions. While some deny the connection, local narcotics officers tell me that not all people who smoke pot become heroin or methamphetamine addicts. However, every person they encounter that is a heroin or methamphetamine addict started with smoking pot. This is part of a deception, that recreational drug use in not harmful. What is the spiritual aspect of an addiction? There are two considerations when it comes to the spiritual aspect of an addiction: The thinking that leads to the drug use and the results of the drug use. Many years ago in the Army, I was sent for training on how to run a drug and alcohol program. At that time, we were told that people initially get high to escape life problems. However, I saw that the vast majority of the people I knew living in the barracks got high because it was fun. The drug connection is more clearly seen in the New Testament references where the root word for sorcery or sorcerers is the same word we get for pharmaceuticals (2). This is why the Bible condemns drug abuse and those who promote it because it is sorcery, which alters the mind and prevents someone from having the mind of Christ. Where should a person addicted to drugs turn to get delivered? The first thing that needs to happen is that the person has to make a decision to seek help. This means they must be broken and in search of restoration. If they are physically addicted they must find a place that is staffed with professionals where they can physically detox from the drugs. Once that is done, they need to immediately seek help to deal with the addiction on the Spiritual level. Although there are many programs out there, any program that does not address changing the heart using the Word of God has no certainty of success. Sadly, many of the programs used by the courts have dismal success rates. A Google search using the terms “success rates” along with the name of a program will startle most people with how poor the success rates are for many very popular programs. Unfortunately, many Christian programs model themselves after these programs with a few key Bible verses pasted on for good measure and nothing more. My experience over the years has been that people who want real deliverance do so by allowing God to change their heart (Psalms 51). When they recognize in their new heart that their drug abuse is sorcery in the eyes of a holy God, it breaks their heart and God delivers them. Addicts with years of addictions and decades of attending programs develop a repulsion to the drugs and alcohol. God takes away their desire to get high and they develop a hunger for God’s Word. For these reasons, churches must do their homework and learn about the needs of addicts and the programs offered before they make referrals. There are several good programs available, but finding a good Biblical counselor to work with one-on-one is the best place to start. They can also give recommendations on local support groups that are effective in creating the environment that is needed to prevent a return to the old lifestyle. 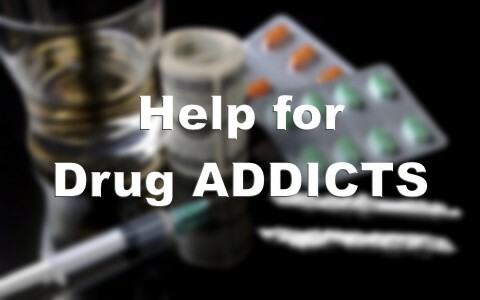 Addiction is a chronic problem that causes compulsive drug seeking and use. It has physical and spiritual aspects that need to be addressed for any chance of overcoming. Addictions prevent people from having the mind of Christ. When this happens, they make decisions that lead to negative outcomes. These outcomes destroy lives and affect others as well. God considers drug abuse to be sorcery, which He condemns. If a person wants to be delivered from their addiction, they must make a decision to seek help. They must go through detox to rid themselves of the drugs in their systems and seek help from a Biblical counselor or church that knows where they can get Biblically based help and follow up support. Resources – Scripture quotations are from The Holy Bible, King James Version. (1) “DrugFacts: Understanding Drug Abuse and Addiction” National Institute of Drug abuse. Retrieved from: http://www.drugabuse.gov/publications/drugfacts/understanding-drug-abuse-addiction, (2015). (2) Strong, James. New Strong’s Exhaustive concordance of the Bible: Greek Dictionary of the New Testament (1984). “Sorcery, witchcraft, sorceries, magician, sorcerer”. Strong’s numbers G5331-G5333. (Page 75). I have a problem with alcohol. Does anyone know of a Christian program with a good success rate? The article mentioned that most of both secular and spiritual (of the Christian faith) programs have low success rates, but this is pretty disappointing for those who are trying to help a loved one or themselves. The only two I really know of are Teen challenge, and a small long term ministry program funded in part by the local church. Previous post: How Does The Bible Define A Fool?